Organised crime threatens governance, peace and security – especially in developing nations. It affects every section of society from shopkeepers to presidents, fuels corruption and conflict, and diverts resources needed for development. Responses to organised crime in Africa have traditionally focused on criminal justice or security measures, rather than tackling the problem holistically. It’s time for a new debate on what should be done. This is the task of a joint initiative recently launched by the Institute for Security Studies (ISS), INTERPOL, and the Global Initiative against Transnational Organised Crime (GIATOC). 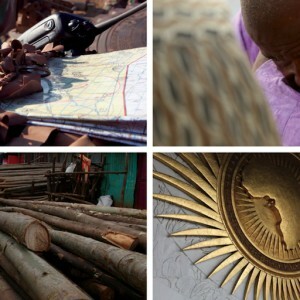 Funded by the European Union’s (EU’s) Pan African Programme for the next three years, the ENACT programme (Enhancing Africa’s capacity to respond to transnational organised crime) aims to mitigate the impact of transnational organised crime in Africa on development, governance, security and the rule of law. ‘This programme is the first of its kind,’ says the ISS’ Eric Pelser, who heads ENACT. ‘Our goal is to assist all African countries to respond better to transnational organised crime, and we will do that by working at the regional and continental levels. ENACT will establish five regional observatories across Africa to monitor trends. The risk of organised crime will be measured by a new index that assesses vulnerability in particular countries. Original research will provide insights into the nature of organised crime and how effective existing responses are. An incident monitoring capability and future forecasting will inform longer-term policy responses. The new data, analysis and resources produced by ENACT will be publicly available on Africa’s first interactive online organised crime hub. The programme capitalises on the collective expertise of each partner organisation. ‘The ISS has an extensive network across Africa, and shapes policy by providing sound advice that’s based on research. We are also the partner of choice for many governments and regional organisations when it comes to training and technical assistance,’ says Pelser. With its convening power, high-tech infrastructure and operational support, INTERPOL brings a wealth of expertise that will improve law enforcement responses to organised crime. ‘This programme falls directly within INTERPOL’s mandate – to enable police to work together to make the world a safer place,’ says Nathalie Richard-Bober, ENACT Project Coordinator, INTERPOL. INTERPOL has a National Central Bureau in each of the African Union’s (AU’s) 55 member states, which provides ENACT with a continent-wide reach. ‘Before states can develop better responses to organised crime, they need to know what features of their political, economic and social landscapes make them vulnerable,’ says Mark Shaw, Director of GIATOC. Within the next three months, the programme will publish its first report on the results of a pilot study into wildlife trafficking in Southern Africa. An ENACT website will soon be launched and key agreements with partners at the national, regional and continental level will be finalised.